Canada at the Olympic Games. Canadian Olympic Committee, [1939?]. 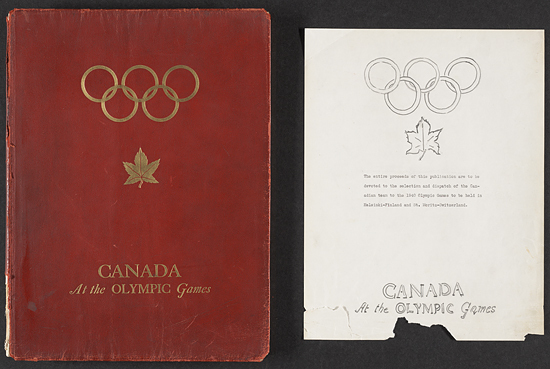 Pre-publication mock-up copy for the 1940 Olympic Games.